1. 2 teams - players jump 2 foot through hurdles three times. Emphasis on landing mechanics into athletic stance at match related pace. Then players run through single foot for three. 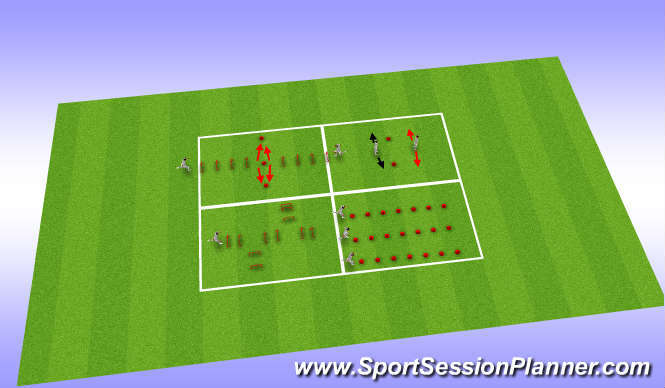 Finally, 2 players run through opposite hurdles to meet in middle at cone, assume athletic position and wait for command to sprint to left/right cone as quickly as possible (x3). 2. 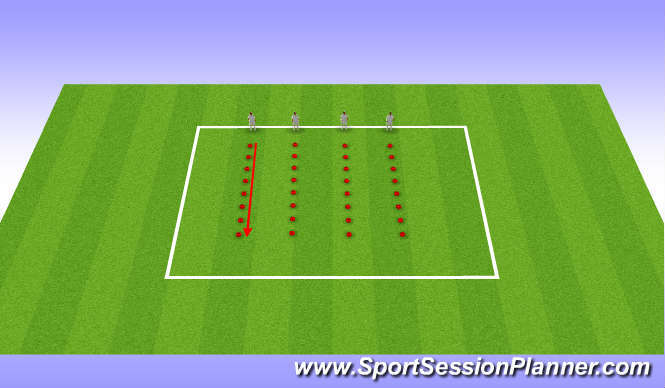 Mirror bounds - players build on bounding drills from previous sessions by getting into pairs beside 2 cones. Player 1 is to the bound between cones with player 2 mirroring landing and holds. Emphasise changing feet, jumping from right foot to land on right foot etc, vary hold times. Players complete 20 seconds of mirroring before swapping over x 3 with 20 seconds rest in between each set. 3. Hurdle jumps: players are to jump two footed through first 2 saggital hurdles, followed by right lateral jumps x 2, saggital x 2, left lateral x 2 finishing with saggital x 2. This is completed 3 times by each player. Then, players are to run through hurdles, emphasising high knees and arm action to facilitate movement. (x 3).